When we discuss the human body, and how it’s structed and moves, we often use the term “biomechanics.” That might sound very technical, but it’s easy to understand if you break the word down into its two parts – bio (“life”) and mechanics (“movement”). Put even more simply, this a term for the processes our body uses to perform various movements. You use a remarkable amount of biomechanics on a daily basis, even when you don’t think about it. Some biomechanics just happen naturally, without you even giving thought to them. For example, your rib cage expands and contracts so your lungs can collect and expel air. Of course, we also use biomechanics when we walk. At this point, you’ve been walking for quite some time in your life and are not likely accustomed to giving the entire process much thought. Well, every footstep you take actually requires a complex sequence of highly-coordinated motions. This makes sense – if walk was actually easy, it wouldn’t take toddlers so much trial and error to get the process down! If you’re a current patient and have been to our office, you’ve probably already heard this word used. But what does “gait” actually mean? Well, this is a term we use that refers to the biomechanical processes your feet and legs use when you walk. Within the actual gait itself, there are two distinct phases – the Stance Phase and the Swing Phase. Heel strike – This is the moment your landing foot—specifically, your heel—initially contacts the ground. Early flatfoot – This part of the process starts once your whole foot moves forward, gradually making contact with the ground. It continues until your center of gravity passes over the top of your foot. In this phase, the foot acts as a shock absorber to distribute force loads in a safe manner. Late flatfoot – After your weight has passed over the midfoot, your foot then shifts roles. At this time, it is preparing to act as a lever. Heel rise – As your heel lifts off the ground, the now-rigid “lever” your foot has become propels you forward. Toe off – This is the moment your whole foot leaves the ground, which then begin the airborne swing phase. It is important to note that during this portion of a step, your foot is subjected to force loads that are significantly greater than your bodyweight. In fact, these can be as much as twice your weight while walking and twice that amount when running (and even more if you sprint!). Move the body forward with a controlled speed to a desired location. Use the least amount of energy as possible. Cause the least amount of pain as possible. Disperse the shock of force on the body while the foot lands. Use the foot as a rigid lever to provide a means of propelling the body forward. As your body tries to achieve these five goals, a “domino effect” can sometimes cause problems. A commonly seen example of this pertains to Goal #3. When a part of your foot is in pain, it’s only natural that you will adjust your gait to keep weight off of it (thereby causing the “least amount of pain as possible”). In order to do so, you have no choice but to place extra weight on a different part of the foot – even though this isn’t your intent. Since that different part isn’t accustomed to the extra force load, problems can arise. Examples of this include bunions, heel pain, and Morton’s neuroma. As a thought, if you consider how many steps your probably take in even an average day and then multiple that number by the force loads your feet endure, it’s fairly easy to see how even a fairly minor variation in structure can lead to a significant problem over time. Fortunately, we have options that can help. Our starting point in addressing problems that have biomechanical roots is to perform a gait analysis. In this process, we watch and record how your feet and legs move when you walk or run. We may also use certain tests or have you perform some simple exercises—don’t worry, you probably won’t find them to be particularly strenuous!—to help recognize core issues. By doing so, we might find that your legs are too straight at impact, you have a tendency to over-stride, your knees bend too far in or out as you move, or any other number of potential problems we couldn’t recognize just by examining your feet. After analyzing your gait and diagnosing the situation, we will start working on your customized treatment plan. Naturally, your treatment will depend on variety of factors. That being said, there are two general ways the problem can be corrected – externally or internally. When it comes to external correction, the most common treatment—one that is highly effective for many different conditions—is a pair of custom orthotic devices. Orthotics are inserts that are customized to work with your unique foot structure and gait pattern, and can be used to control motion or provide additional cushioning in specific areas. We have been able to use orthotic therapy to help numerous patients, and we can possibly do the same for you. With regards to internal correction, we are talking about surgery. Fortunately, surgical intervention tends to be rare and we typically will exhaust all conservative options before recommending it. 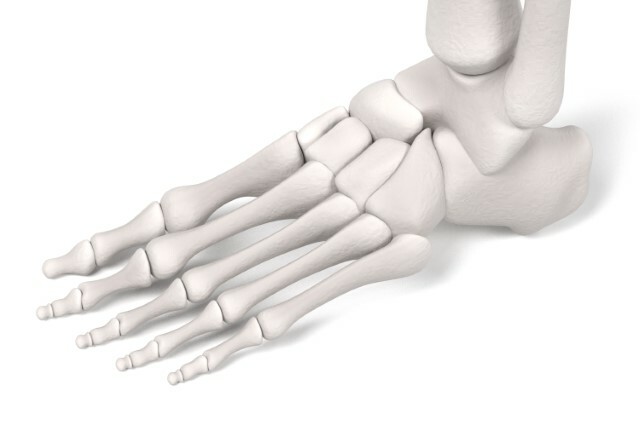 If we do recommend foot or ankle surgery to correct a biomechanical movement, the goal will be to shift various anatomical components to create a more efficient structure. 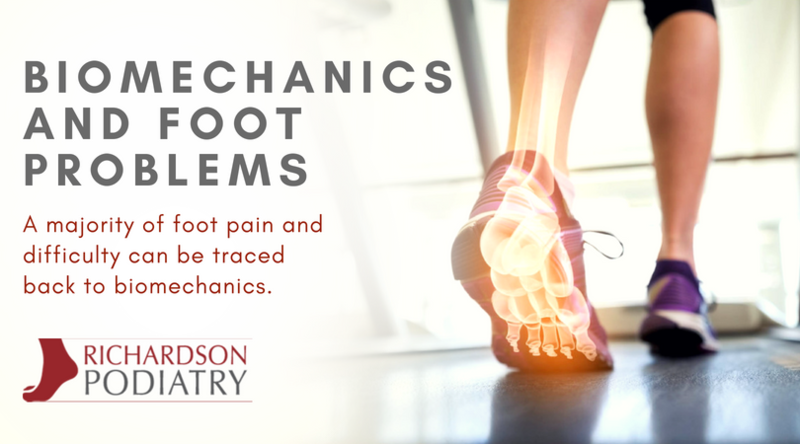 Not all of the foot and ankle conditions and injuries we treat at Richardson Podiatry Center have a biomechanical basis. That said, a sizeable number do. For more information about biomechanics, custom orthotics, or to request your appointment with our Richardson office, simply give us a call at (972) 690-5374 and one of ours staff members will be happy to help you out!